SsangYong was initially established as Ha Dong-Hwan Motor workshop in 1954. The company initially started producing trucks, buses and special purpose vehicles many of them for export. From then they began to manufacture the Tivoli, Korando and Rodius Turismo vehicles. 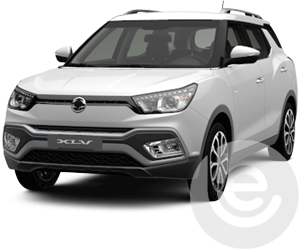 The Tivoli was first manufactured in 2015 which was a small crossover vehicle, with a 1.6L engine. The new Tivoli has a leading-edge design combining luxury, style and performance which is why it is also a great car for towing. The towbar fitment should take around 3 to 4 hours. 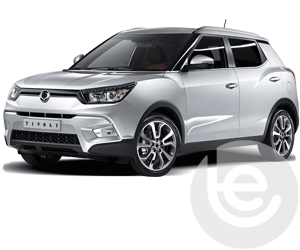 The Ssangyong Tivoli can tow up to 1500kg, with a maximum noseweight of 80kg. The towbar is only available in a detachable swan neck design. This is because of the low central position of the rear fog light; if a fixed towbar was fitted it would obscure the fog light causing a MOT failure. 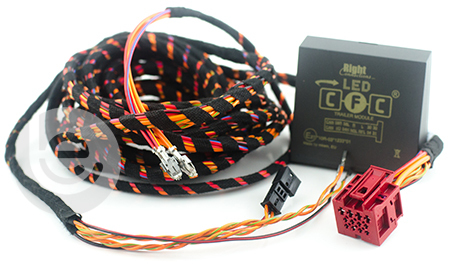 While this does make the fitting slightly more expensive than a fixed towbar, it does have the advantage that the towbar neck can be removed when you're not using it. This keeps the car looking tidy, and you don't hurt your shins on the towbar when loading the boot. There is no bumper cut required to fit the towbar, and once the neck of the towbar is removed there is only a small mounting point, and the towbar electric socket left at the lower edge of the bumper. This makes for a very discreet towbar installation. 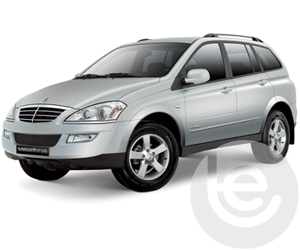 Ssangyong Rodius Towbars begin from the 2005 model to the 2013 model. 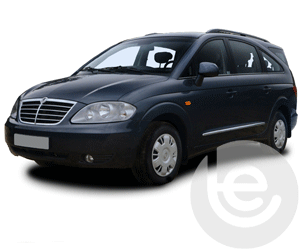 We have all types of towbar available for this vehicle. 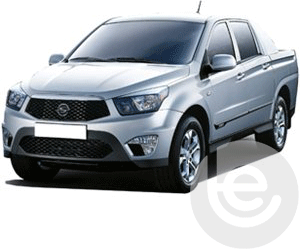 We stock all type of towbar for the Ssangyong Korando from the 2011 model to the present model. Click to view our range of towbars. The towbar is only available in a detachable swan neck design because of the low central position of the rear fog light. Click to view our range. 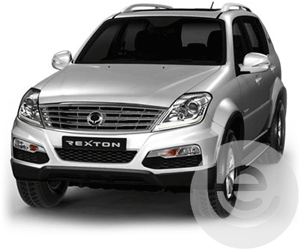 To find the towbar fitting price for your Ssangyong, simply select your model below. We are experts in our field and the price you see for your Ssangyong tow bar is the complete price that you pay for the towbar, towing electrics and most importantly the complete installation. All our Ssangyong towbars are 100% guaranteed and are installed by one of our fully trained technicians, with full technical support and our helpful office staff we are the number one company to install your towbar. Our gallery of Ssangyong installations shows the wide range of recent installations. 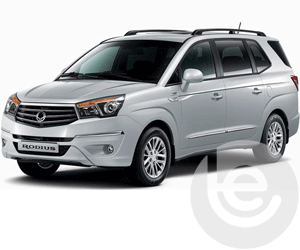 Browse our range of Ssangyong towbars and towing electrics for your car. On Facebook? You can view a gallery of towbars fitted to Ssangyong cars here. Our Facebook site showcases a range of Ssangyong Towbar fittings for all Ssangyong models, which we have fitted to in the past. This functionality extends to the tow bar wiring which allows Ssangyong’s built in safety features activated, Trailer Stability Control, Parking aids are disabled while towing to work seamlessly with your trailer or caravan attached. 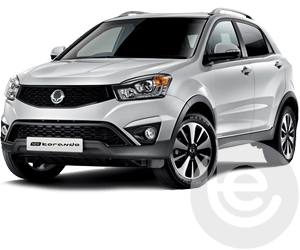 Why choose Towbar Express for your Ssangyong towbar installation?